I have had this pair of boots for nearly 6 years and they are the MOST comfortable shoes I own. I have seriously put these boots through some stuff...and they have never let me down. Waterproof. Tough. 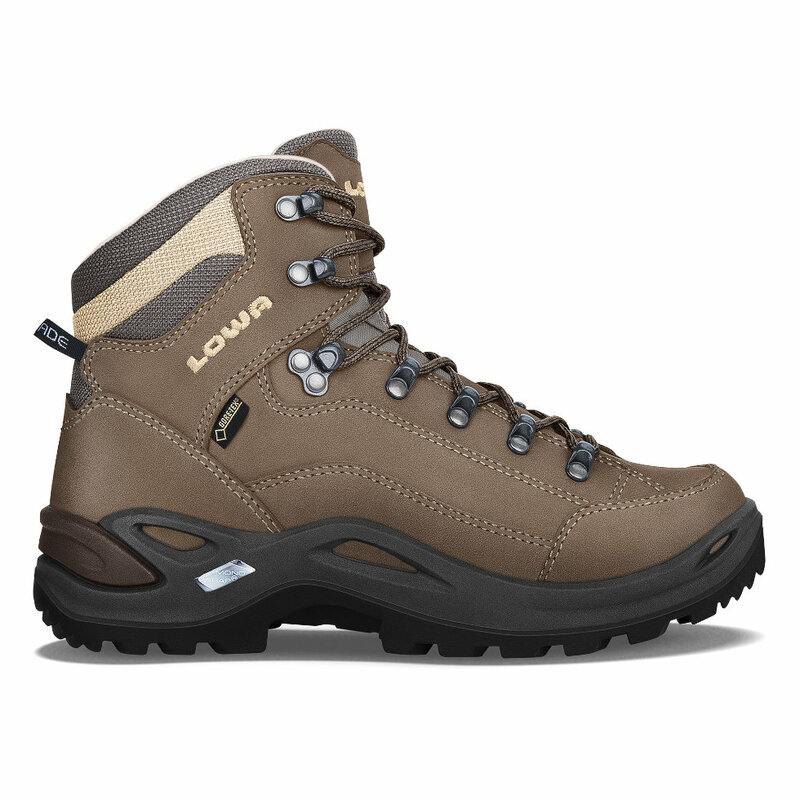 The PERFECT pair of hiking boots. I bought the boots in "Stone". BUY THESE BOOTS! I've bought a new pair each year since 2012, and they're the only boot that I can hike a 20 miler without a break in period. Super comfortable and great toe entry for those hikes requiring some scrambling. Grippy soles. Great in all terrain. Oh, and I've never had a blister ever with these boots. I use a liner w/ midweight wool sock. My secret formula for a long happy day on the trails. Love my Renegrades! I like these boots for the weight and fit. The heels on the soles started to wear rather quickly for a Lowa. I only used them one summer when that happened. I was in Bryce Canyon for a week and noticed the heels started "thinning" at the back of the boot. But, it hasn't deterred me from buying another pair, which I have done. For the fit and weight it's worth it to me. I use the "worn" pair for around the yard and for walking in my neighborhood. The second pair is used for the hiking trails.